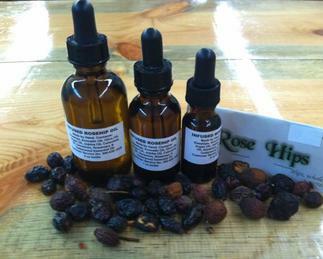 We often come across the words "rosehip seed oil" while reading the ingredients list on skincare products. But it wasn't until former Victoria's Secret Angel Miranda Kerr name dropped it as the secret to her radiant complexion that we explored further. Harvested from the seeds of rose bushes predominately grown in Chile, rosehip seed oil is full of vitamins, antioxidants and essential fatty acids that are known to correct dark spots and hydrate dry, itchy skin, all while reducing scars and fine lines. With beauty benefits like these, we believe rosehip seed oil has the potential to become the next coconut oil. Before you start slathering rosehip seed oil on your face, we asked Joanna Vargas, celebrity facialist and founder of the eponymous salon and skincare collection, and Dr. Elizabeth Tanzi, co-director of the Washington Institute of Dermatologic Laser Surgery, to explain why this skin savior is so great. "Rosehips were a remedy that was used by the ancient Egyptians, Mayans and Native Americans all because of their healing properties -- the oil can be made by cold press or by slow-cooking it," according to Vargas. "I think the beauty industry is turning more and more to these healing ingredients as an alternative to the chemicals we have relied on in the recent past." Unlike heavier oils that are commonly used on the face like jojoba and shea butter, rosehip seed oil absorbs easily. Dr. Tanzi recommends using it as an addition to lotions and creams, as it’s anti-inflammatory and anti-oxidant, which helps to decrease environmental damage and soothe the skin. "The essential fatty acids found in rosehip seed oil also work wonders for dry scalp and itchiness due to stress and chemicals in shampoo," says Vargas. "It's what the skin needs for hydration and skin sensitivities." With skin rejuvenating properties like vitamin C and lycopene, rosehip seed oil is a safer solution to repair the skin's surface, restore elasticity and protects against sun and pollution stressors that can lead to wrinkles. Rosehips, Avocado Oil, Olive Oil, Argan Oil, Jojoba Oil, Calendula Oil, Geranium, Rosemary and Cedarwood Oil.